Technology has brought with it some highly sophisticated and complicated equipment. Unfortunately, this advanced technology is not infallible, and working parts stop working for a multitude of reasons. The components that make up these machines need highly skilled people to get them up and running again. 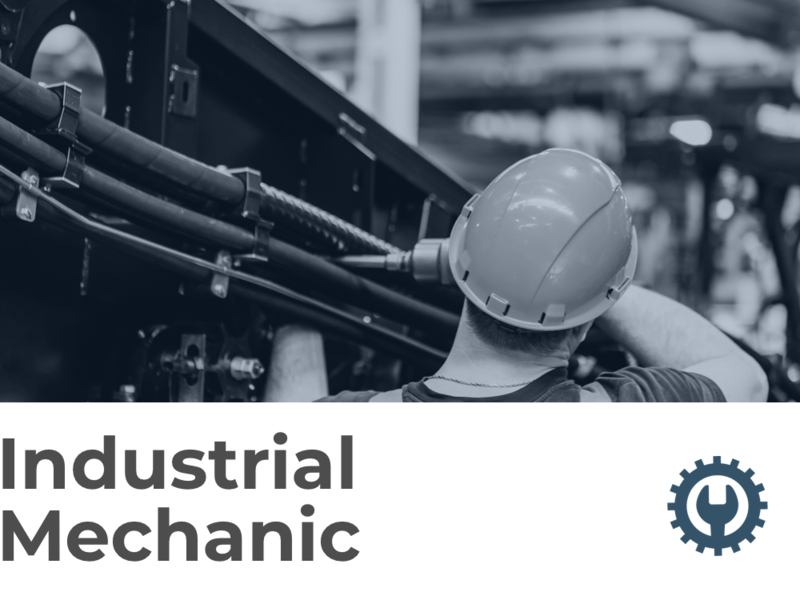 Industrial mechanics, aka manufacturing mechanics, are those who are skilled in repairing, installing, and maintaining those machines used in the manufacturing process. When you’re an industrial mechanic, you’ll work in factories, power plants, or construction sites. You may have to work on weekends, and you’ll get plenty of overtime. But mostly, you’ll be working a 40 hour week. Types of machines you’ll work on are robotic arms, assembly line conveyor belts, and hydraulic lifts. Most employers look for someone who can work without a lot of hand-holding. Employers prefer their candidates to have at least a high school diploma and some postsecondary education. You should have taken some classes in electronics, blueprint reading and drawing, mechanical drawing, math, and computer programming. Earn your associate degree in industrial maintenance. Complete one year of on-the-job training. Alternatively, you may train through a manufacturer rep or a professional trainer. Get certified, but only if you want to. The available certifications are optional. You can get one through the Society for Maintenance and Reliability Professionals. There are no requirements, but if you have a felony, you’re ineligible. Maintain your certifications and credentials to advance in your career. Every three years, you need 50 hours of continuing education to do this. The median annual salary for industrial mechanics is $51,360. Depending on your experience, where your work, and what state you are employed in, your pay could look different. As an entry-level industrial mechanic, your average yearly paycheck will be $32K, but the top 10 percent of your colleagues will be earning over $76K. Manufacturing, construction, and wholesale trades are the top-paying industries for your chosen career. Employment is expected to grow 7 percent through 2026, which is about average compared with all other professions. More than 23K new positions will open through 2026, and you’ll be extremely employable if you are able to work on a wide variety of machines and have many relevant skills.